All current students at the University have been assigned student licenses for Microsoft Office. These licenses allow students to install Microsoft Office on five computers, five tablets, and five phones. A student license for Microsoft Office does not come with OneDrive enabled. Students are encouraged to use the storage component of their Scarletmail account, Google Drive, if they require storage space. A student license will not provide a student with an email account; students should be using their ScarletMail account for email. 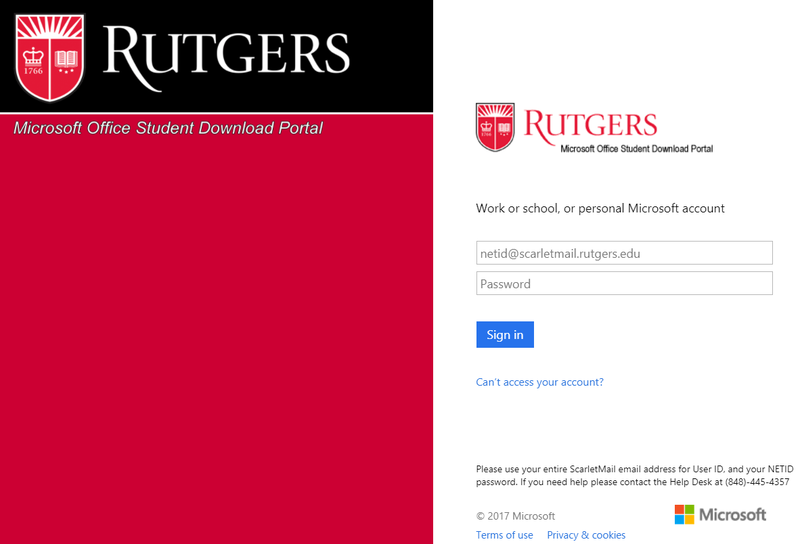 To access this service, students can go to getoffice.rutgers.edu and login with their netid@scarletmail.rutgers.edu address and their NetID password. 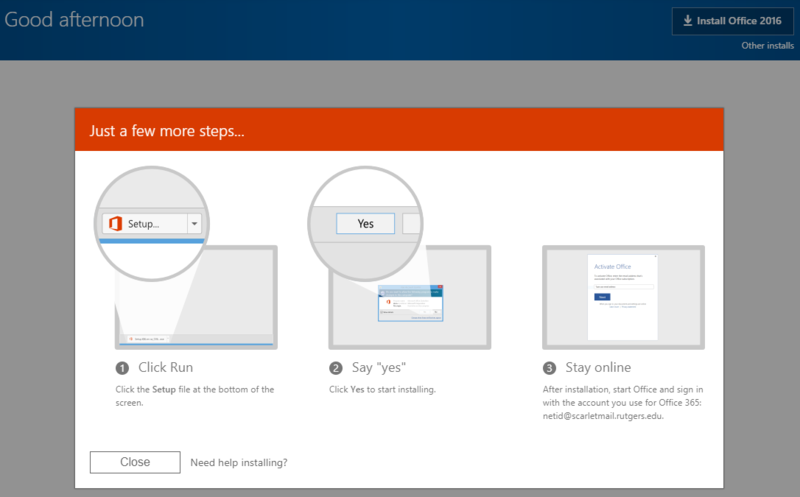 Clicking on the install button will cause a prompt to pop up that will provide directions on how to finishing downloading, installing and activating Office. Students will have active licenses to use Microsoft Office while they maintain their student role. Upon graduating or departure from the University, the student license for Microsoft Office will expire. A student will have 30 days after losing their student role before their Office applications go into read-only, reduced functionality mode. We will be a role model within the higher education community for customer satisfaction and service excellence using innovative strategies and advanced technologies.